1. Do you have an add-on? If no, skip to question 2. 1a. The add-on is what percentage of the total buy-in? 1b. Does that money go into the prize pool or is it used for Dealer Tokes or? 2. Does the House take a portion of the total buy-in? 2a. The House take is what percentage of the total buy-in? For example, Total Buy-in is $100. $10 (10%) is taken for the House and $10 (10%) is taken for Dealer Tokes. 2. In the UK it is fairly standard to +10% Reg fee, so for example a £30 tournament would be £30+£3 (£33) which keeps the house fee and and prizepool separate. 1. A my last property Yes. 1a. We had a $5 dealer toke add-on at the time of registration that got the player a roughly 20% boost in chips for our daily $100+10. 1b. 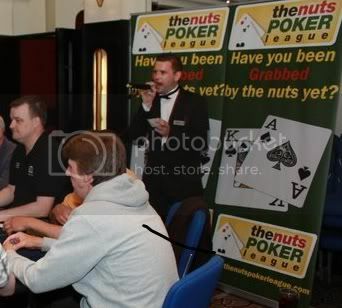 When I worked at the British Columbia Poker Championship we took 2% of the total prize pool as gratuity for the staff. The buy-in of the main event was $2500+$200. 2a. Our admin fee was pretty standard at 10% for all tournaments aroundthe $100 range. Our lower buyin tournaments are the ones that felt the crunch. We ran Early Bird Tournaments that were $50+$10.